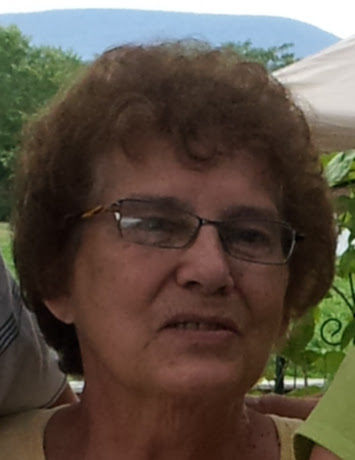 Karen Lee Wagner, 75, of Mifflinburg entered into rest on Monday, September 24, 2018 at her residence surrounded by family. She was born on October 08, 1942 in Lewisburg, the daughter of the late Park and Helen (Bilger) Zeiber. On December 27, 1997 at Four Bells Church she married William Roy Wagner, who survives. Karen was a retired aide from the former Laurelton Center and Harrisburg State Hospital, with 26 years of service. She enjoyed shopping, roller skating, and drawing and painting. She loved to spend time with family just enjoyed being a mother to her children. Surviving are five children and spouses, Dane and Wendy Zimmerman of Mifflinburg, Sonya and Randy Maria of Port St. Lucie, FL, Theodore and Nancy Zimmerman of New Columbia, Lisa Zechman of Waldron Arkansas, Heidi Heimbach of Bloomsburg, two stepchildren, Christine Smith of Lightstreet, Scott Wagner of Mifflinburg, 20 grandchildren, 17 great grandchildren, and one sister and brother-in-law, Marian and Ralph Tachell of Gig Harbor, WA. She was preceded in death by two sisters, Gloria Roush, Betty Kline, one brother, Raymond Zeiber, three grandchildren, Bryan and Emily Zimmerman, Teddy Zechman. Services will be conducted privately at the convenience of the family.